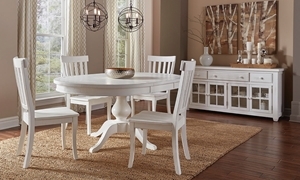 Expandable round pedestal table and four lath back chairs crafted from reclaimed pine in an all-white finish for a coastal feel. 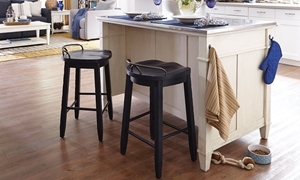 Counter height kitchen island features a stainless steel top and whipped cream finish, accompanied by a pair of brown saddle stools. 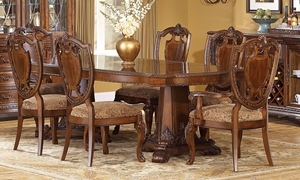 Traditional cherry 5-piece dining set includes double pedestal table with two extension leaves and four upholstered side chairs. 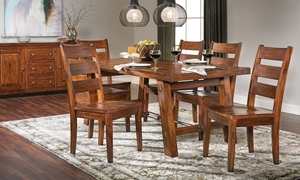 5-piece set handcrafted from plantation grown solid mahogany features 106-inch extension table and four ladderback chairs. 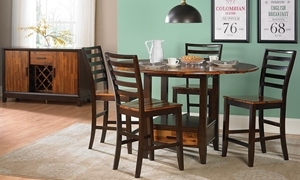 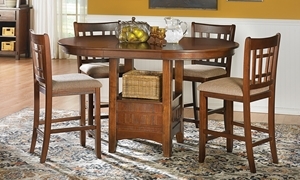 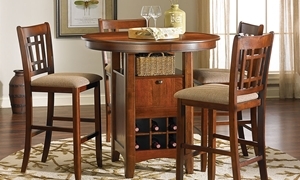 Casual dining room in a rich cherry finish features round pub table with a storage base and four lattice back stools. 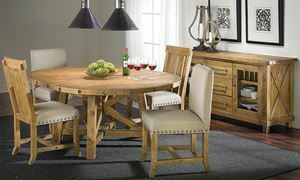 Rustic casual 54-inch extendable round table and four panel back side chairs accented with oversized nail head trim. 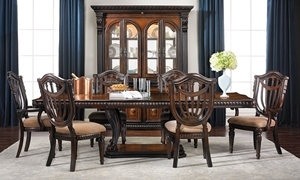 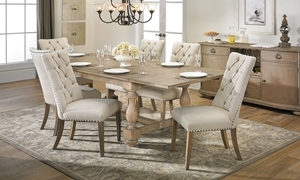 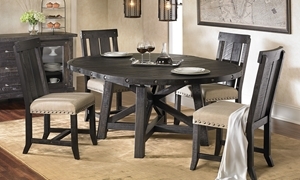 A deep burnished finish over classic lines give this 5-piece dining set a warm and inviting air.